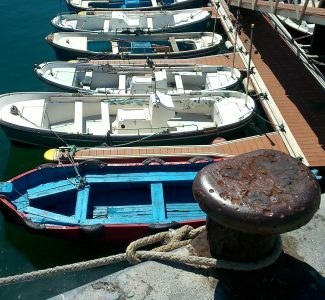 Discover with us these 3 beautiful towns on the water, in the region of the Urola Coast. 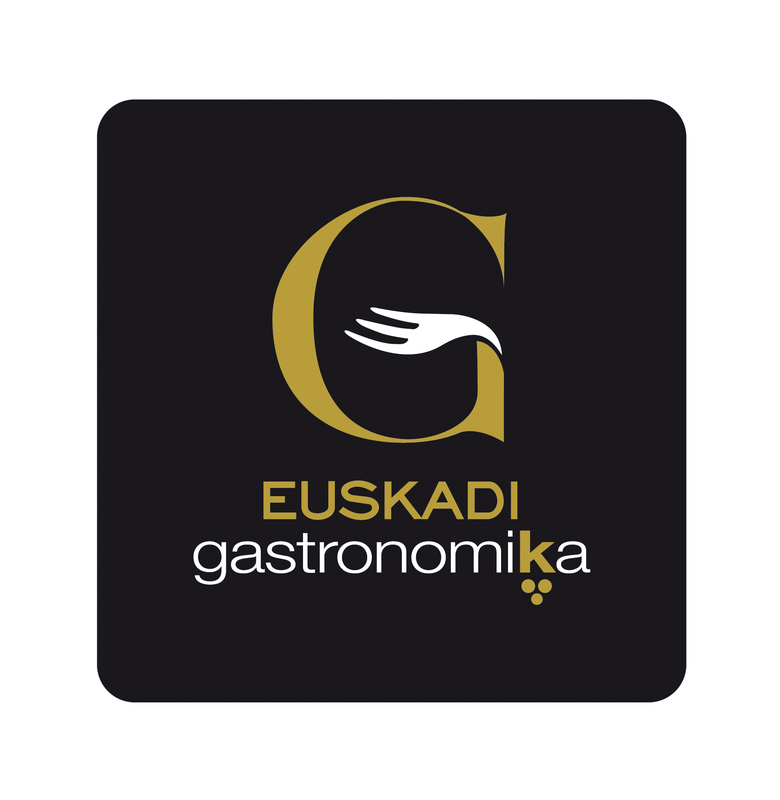 In Zumaia we will see the rich Geopark on the coast, where it forms the geological phenomenon known as the "Flysch", which attracts geologists from all around the entire world. As beautiful as the Flysch are the landscape and the cliffs that had been the scenary of films like the spanish movie "8 apellidos vascos" or the worldwide famous superproduction "Game of Thrones". We will continue on one of the most beautiful coastal roads in the world until the next town: Getaria; it is home of the famous white wine called TXAKOLI; here is where it was born JUAN SEBASTIAN ELKANO, the first sailor circumnavigating the world; or the birthplace of one of the most famous fashion designers of the XXth century CRISTÓBAL BALENCIAGA; land of fishermen, one of the most importants fishing ports in our province Gipuzkoa, its mouse shaped island called San Anton, its grilled fish specialized restaurants, the cliffs, the beach... a paradise for the senses. 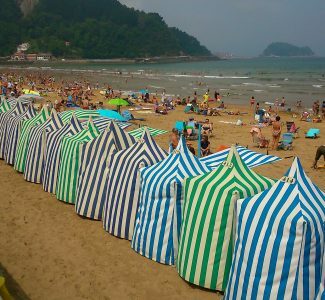 Finally Zarautz, a very famous turistic destination in our country, with the largest beach in Gipuzkoa (2,5km). 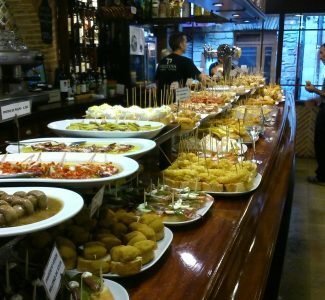 There we will visit the food market, feeded by the local farmerrs, we will walk the old town, and finish breathing the fantastic breeze of the Cantabrian sea. We will check availability after we do receive your booking request. After we confirm availability we will send you an email with the booking confirmation. Then, and only if we say to do it, do the payment process. Click in the "Buy" button of the box on the right of your screen. NOTE: If the choosen day is not available please let us know, we will be happy to help. Thank you very much. 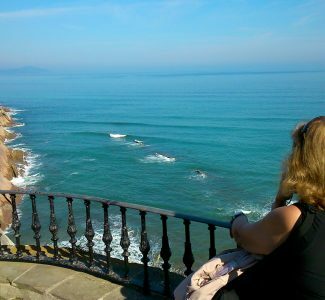 First stop Zumaia: Urola river bridge, Itzurun beach, the Flysch, San Telmo Hermitage, Saint Peter's church, Old Town. We'll do a break to have a coffe(included). 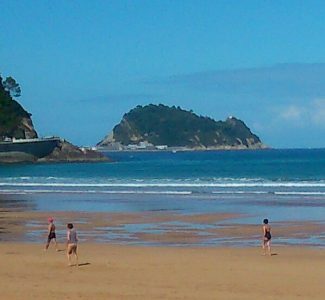 Leave to Getaria at 11:00am aprox trough the coast road. Second stop Getaria: Getaria's Fishing Port, J.S. Elkano's statue (1), Saint Salvador church, C/ Mayor street, City Hall square, J.S. Elkano's statue (2), Monument dedicated to the sailor's that circumnavigated the world for the first time, Getaria's beach. On the way to Zarautz at 12:00am aprox. Coast road. 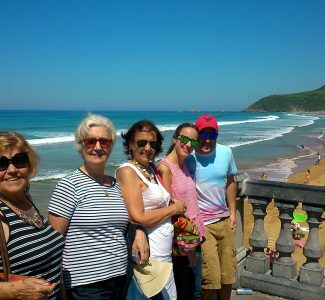 Third stop Zarautz: Old Town, Food Market, Tower building, Kiosko square, Belgium's Queen Fabiola palace, Malecón (beach promenade), Zarautz beach. End of the excursion. 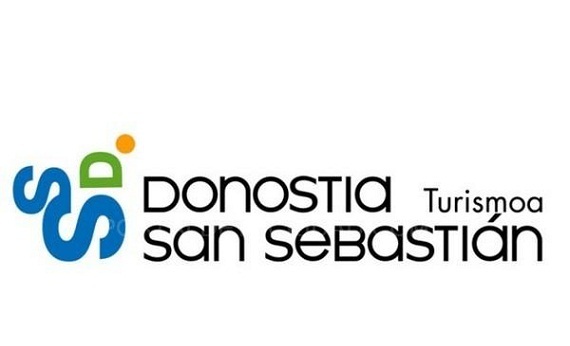 Arriving to Donostia - San Sebastián: 14:00pm aprox. Lunch not included, neither time to have lunch. Private Transportation in a 9 seats vehicle. For larger groups, please ask us.